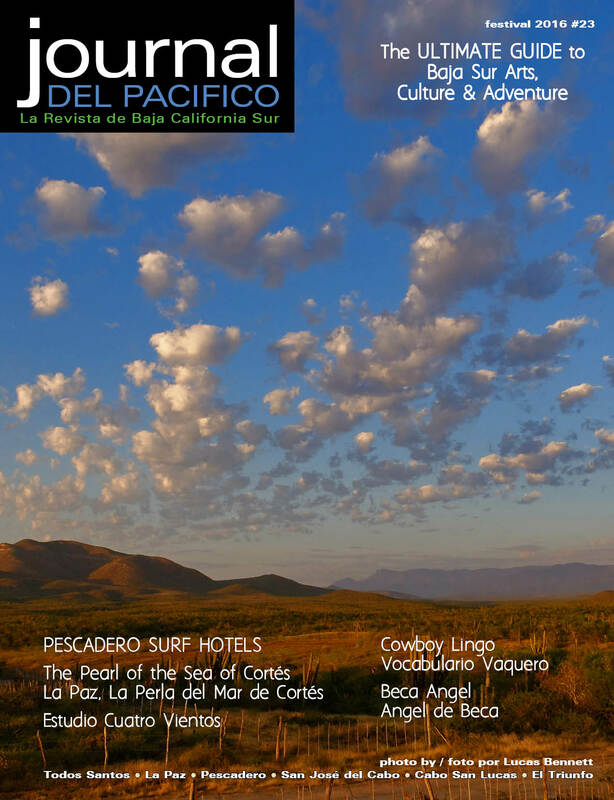 This issue, Festival 2016, the husband and wife team of Lucas Bennett and Zoë Dearborn from Art for Life contributed the feature stories on Estudio Cuatro Vientos and photos for our cover and Pescadero surf hotels. 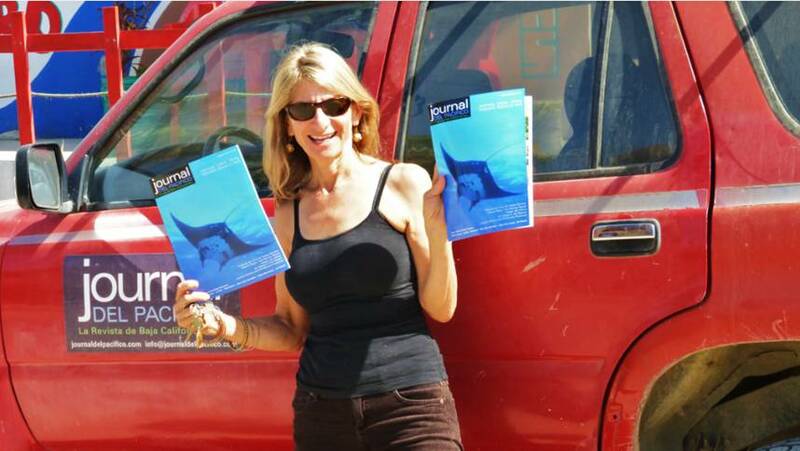 Also in this issue, Bryan Jáuregui of Todos Santos Eco Adventures shares the legend of “El Mechudo” with Sea of Cortez and diving photos by The Cortez Club. a delicious dinner overlooking the Sea of Cortez. 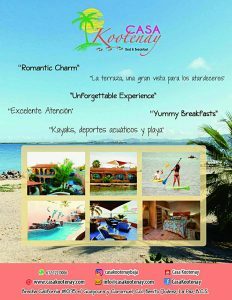 Call the concierge for reservations at 52 624 1456113 ext 4087. Blue Moon Productions presents “Alice Down the Rabbit Hole” a new spin on an old tale. 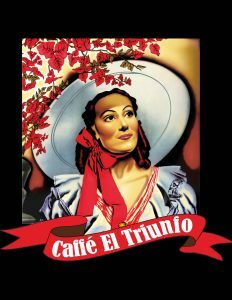 Performances are on the weekends of February 26 & 27 and March 3, 4 & 5 at Teatro Luna Azul on the otro lado of Todos Santos. Tickets are available at El Tecolote Bookstore. brine and turned every three days until it’s just perfect. It’s the most delicious corned beef ever! Shut Up Frank’s is now open 7 days a week with different daily specials. Miguel’s Restaurant is just across the street, serving delicious chiles rellenos and seafood specialties and is now open every day. artist collective, beachwear, jewelry and accessories. weekly between Friday nights with “JamaRama” and classic rock on Saturday nights. Call for this week’s details and get out and dance! 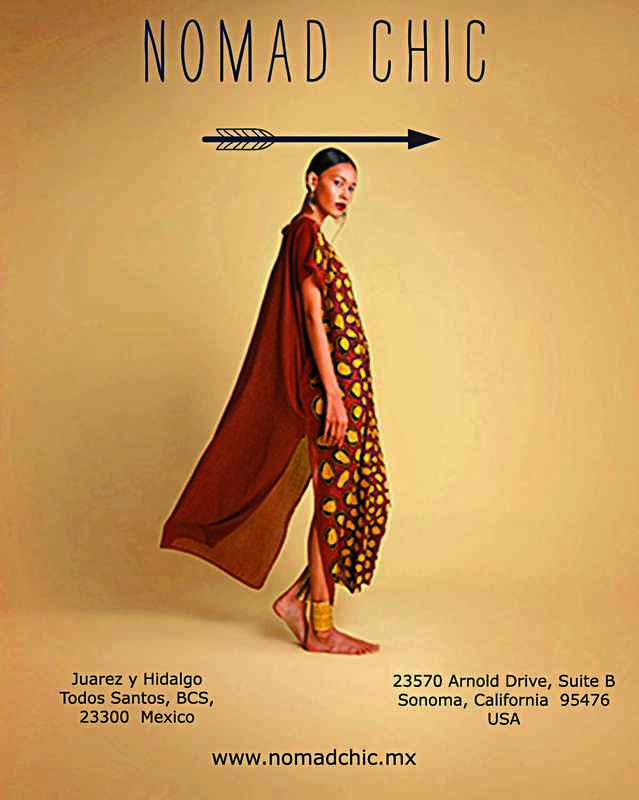 Nomad Chic, with locations in Sonoma, California and on calle Juárez in Todos Santos, is an evolving collection of apparel, jewelry, furniture and home accessories from around the globe. They specialize in products by independent designers that you won’t find in most stores; designers that are giving back to their communities. order of three entrees. Call or stop in for details. 10,000 customer. Stop in to experience fine but relaxed dining overlooking Cerritos beach. The Joy of Floating offers a true weightless experience inside of a floatation tank filled with warm Epsom salt. Veronica, with 20 years’ experience working with chiropractors, acupuncturists, and osteopaths, also offers effective and thorough bodywork. “I can now lift my arm!” one client with a skiing injury said after her first float. 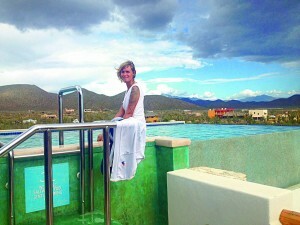 The spa is located in Pescadero next to Baja Beans. Appointment recommended. 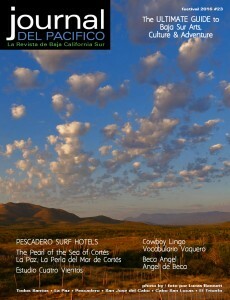 Gypsy’s Beach House Rentals has been providing surfers and travelers accommodations in Baja since 1967. They have a selection homes and villas for short or long term rentals in the Cerritos, Pescadero and Todos Santos area. community provides a collection of one, two and three bedroom freestanding casas. Need a ride from your hotel to the beach or to your favorite restaurant? Rudolfo of Brody’s Pizza at Cerritos beach is now offering Taxi Los Cerritos. 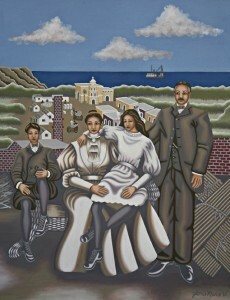 Call +52 612 157 9049.
photographic works by Emanuela Gardner at the Galería de Todos Santos. Enjoy all the festivals this February and March in Baja California Sur! The deadline for our next issue, Spring 2016 is March 10. Once again we’re receiving rave reviews on our stunning cover for the Festival 2015 issue of Journal del Pacifico, designed by the über talented Kate Turning. Kate has also designed this year’s Film Festival poster and t-shirts, featuring the same model. A healthy lifestyle and well-being are on everybody’s minds these days. Bryan Jáuregui of Todos Santos Eco Adventures has written about a small group of local women making big changes to their families’ diets and health in the Greenhouse Greats of Pescadero. We’re also highlighting some other methods available locally for improving your well-being including the Joy of Floating, Deedee’s outstanding massage therapy, Yamuni body rolling with Emily Gable, and Baja Yoga & Ayurveda with Valma Brenton. After reading our article, we’re sure that you’ll want to try at least one, we sure did! 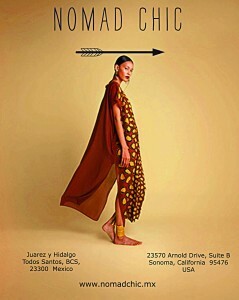 El Tecolote Bookstore is sponsoring “Words and Wine” at La Bodega de Todos Santos. Wednesday, February 18, at 5 pm, meet award-winning author Bruce Berger as he reads from his latest book ‘The End of the Sherry,’ a beautiful memoir chronicling the life and times of Bruce as he copes with the Franco dictatorship in Southern Spain as a young, 20-something American. Pura Vida Health Foods has opened a second location in downtown Todos Santos behind the Ezra Katz gallery. They are also working hard on re-opening their original location behind the Pemex. Guayabas Juice Bar is open across from the Guaycura Boutique Hotel in the Todos Santos historic district. Their delicious juices, smoothies and grilled paninis are all made from local and organic produce. The courtyard patio also has free wi-fi. Leading up to this year’s Academy Awards, Gallo Azul Art & Pizza in Todos Santos is having movie night every Tuesday. Check out their Facebook page for this week’s movie and make your reservations. March 17th, Shut Up Frank’s will be holding their 19th Annual St. Paty’s Day party. Frank has been making authentic corned beef and will be serving it up with all the fixings. They’ve also added sliced turkey, pastrami and beef sandwiches on homemade bread to their regular menu and have new pizza oven. El Arco Eléctrica & Plomería’s friendly staff can help you with all your construction and repair needs at two convenient locations in Todos Santos and off Abasolo in La Paz. La Paz Cruisers Supply provides necessary equipment for cruising boats. 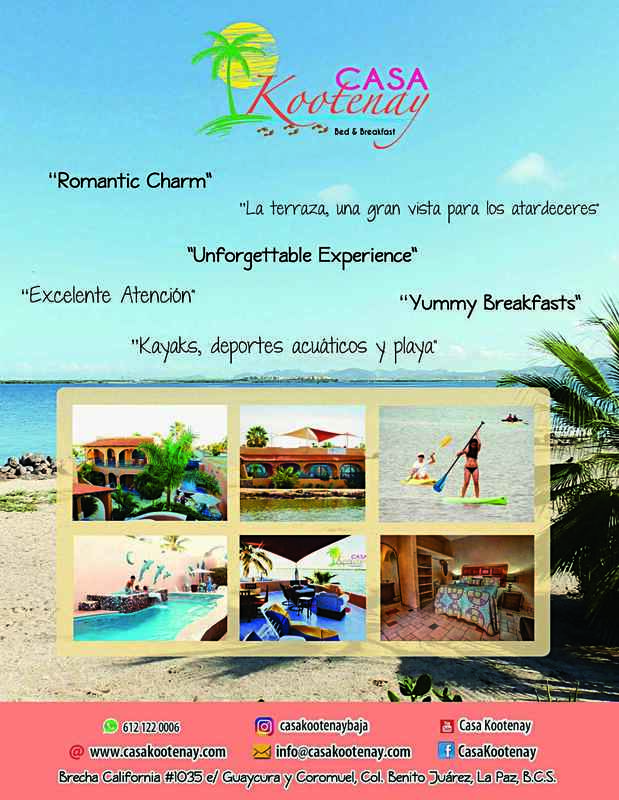 They are located at the Marina Palmira in La Paz. While you’re there, check out their Eagle Images Gallery. Mi Pueblito the colorful traditional Mexican restaurant in the Todos Santos historic district has become a popular spot with locals. Keep you eye out, they will be moving across the street, next to La Bodega de Todos Santos, in the next couple of months. Cantamar Restaurant, next door to Carnitas Uruapan, on calle Militar in Todos Santos serves up the delicious Mexican breakfasts and lunches and features different daily specials. Don’t worry, you can still order Carnitas Uruapan’s savory pozole next door. Mini Super Munchies is located in Pescadero near the beach and Rancho Pescadero. You can find everything you need without having to go to town, including micro brews, wine and food to go. Cafélix’s new Pescadero location is now open 7 am to 7 pm, and Wednesdays until 3 pm. Look for the brick building on the main highway south of the Pemex. Brody’s Pizza on the road to Los Cerritos is open again and serving up Italian style pizza, fresh salads and spaghetti. Need a ride from the airport or an area tour? The bilingual and knowledgeable, “Neto” of California Tours provides reliable transportation and area tours to Todos Santos, La Paz, El Triunfo and more! You can see the entire issue online by clicking here. Deadline for our Spring/Primavera 2015 issue of Journal del Pacifico is March 6th. Look for our feature stories on the GastroVino Festival and exciting changes at Rancho Pescadero. Contact us for more information or click here for our ad prices and sizes. We’ve been busy delivering the Festival issue of Journal del Pacifico–it’s hard keeping the new issue in stock! People are loving the Manta Ray feature story by Bryan and Sergio Jauregui and stunning photographs by Kaia Thomson and Iker Algorri. The 11th annual Festival de Cine de Todos Santos begins Thursday, February 20 and will fill the town with famous Spanish and Mexican actors, distinguished Spanish diplomats, daring international directors, budding local film-makers, and dozens of great movies. And you won’t even have to work very hard to get to it; this year the festival will show films not only in Todos Santos, but Pescadero and La Paz as well. Carnaval takes place February 27 through March 4 on the malecón in La Paz. The festival spirit continues with the Todos Santos Historic Home Tour on March 16 and the first Greenfest in Cabo March 27 through 29. March 17th, Shut Up Frank’s will have their Lucky 17th Annual St. Patrick’s Day party with green beer and homemade Corn Beef and Cabbage with all the sides. 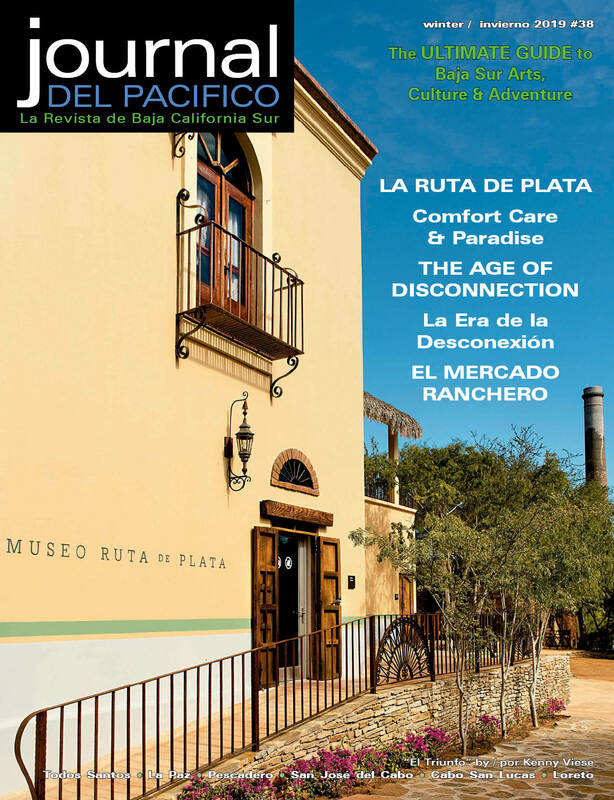 A lot is going on in Todos Santos’ historic district. Guaycura Boutique Hotel will be opening their new Beach Club at the restored lighthouse on Todos Santos’ southwest beach. They are also making changes to the restaurant at the hotel and will be having live music every other weekend at the Sky Lounge and Tapas bar. At the Todos Santos Inn, La Copa Cocina is open and serving a delicious variety of small plate dishes—perfect for sharing while enjoying the jazz music of “Pepe and Friends” at the upstairs bar, Thursday, Friday and Saturday nights. La Copa Cocina is open from 5 to 10 pm, closed Wednesday. Artique Boutique is open! Alexis carries unique women’s clothing, swimsuits, jewelry and accessories. Check out her store, located in Plaza Antiqua at the three way stop on Juárez street—now with a special on many items! IndiO Spirit Native Culture Arts, across the street from the Guaycura Hotel, has museum quality and custom leather art, paintings, clothing, accessories and more. While there, inquire about their Turtle Island Healing Lodge and upcoming seminars. People stop in Todos Santos to shop at the two organic / fresh food stores, ¡Que Rico! and Pura Vida. ¡Que Rico! stocks a variety of specialty products like organic meats, cheeses, homemade spreads, breads and more. Their new facebook page is QueRicoFoods. Not only does Pura Vida carry those hard to find organic, health and local products, they also serve healthy fare at the restaurant. 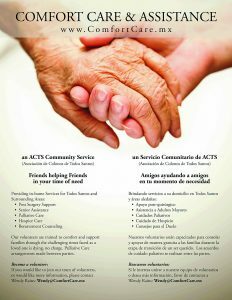 If you’re interested in buying this family minded venue with a commitment to community health, contact Joella Coronado. MerciTodo is the Todos Santos’ “notions” store with materials, thread, ribbons and many of your sewing needs. They also custom make curtains, pillows and many more home furnishings. If you’re driving south, stop at Vicbi’s on the way out of Todos Santos for natural homemade ice creams like mango and pitahaya. They are also open early with coffee, burritos and other food for the road. 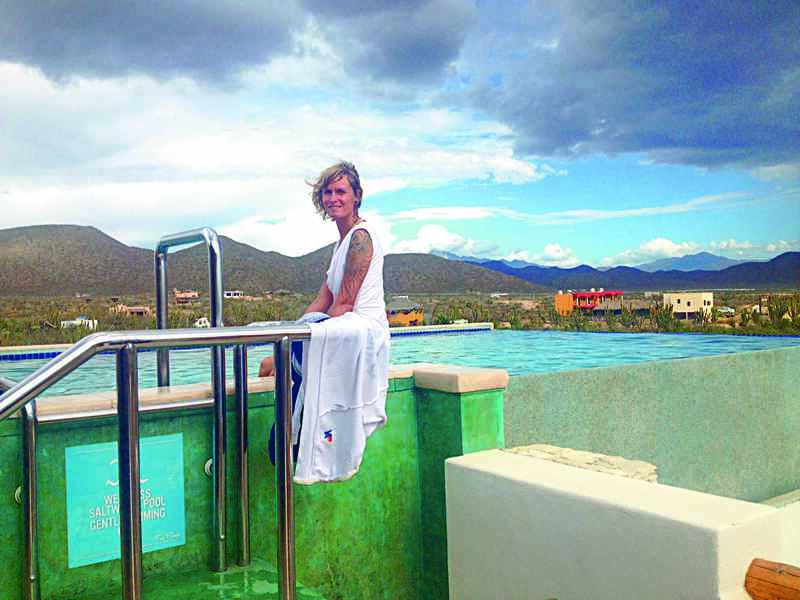 Baja’s first and only Float Spa, Joy of Floating, is located next door to Baja Beans Roasting Co. in Pescadero. Relax in the luxurious warm Epsom salt tank and emerge rejuvenated. Flotation therapy is a luxurious escape and an extremely powerful tool for strengthening the immune system and improving health. 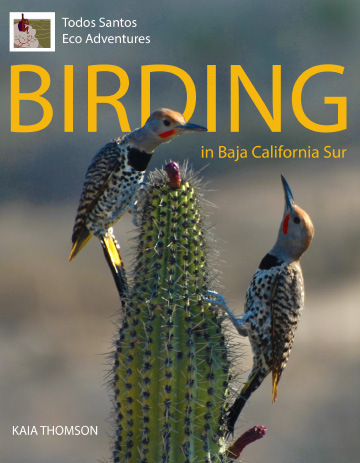 If you missed the well attended Todos Santos presentation and book signing for Todos Santos Eco Adventures’ and Kaia Thomson’s photographic book, Birding in Baja California Sur, on February 16 at the Guaycura Hotel, you’ll get another chance to attend March 8 at La Encantada in La Paz. The book is available at El Tecolote Bookstore in Todos Santos and Allende Books in La Paz. We’re starting on our Spring “Wining and Dining” issue soon. Deadline is March 1. Contact us for more information!